After several years of fighting the frizz and taming my curly hair, I tried the new formaldehyde-free Brazilian Keratin treatment, The Keratin Tropic from Lasio Studios. 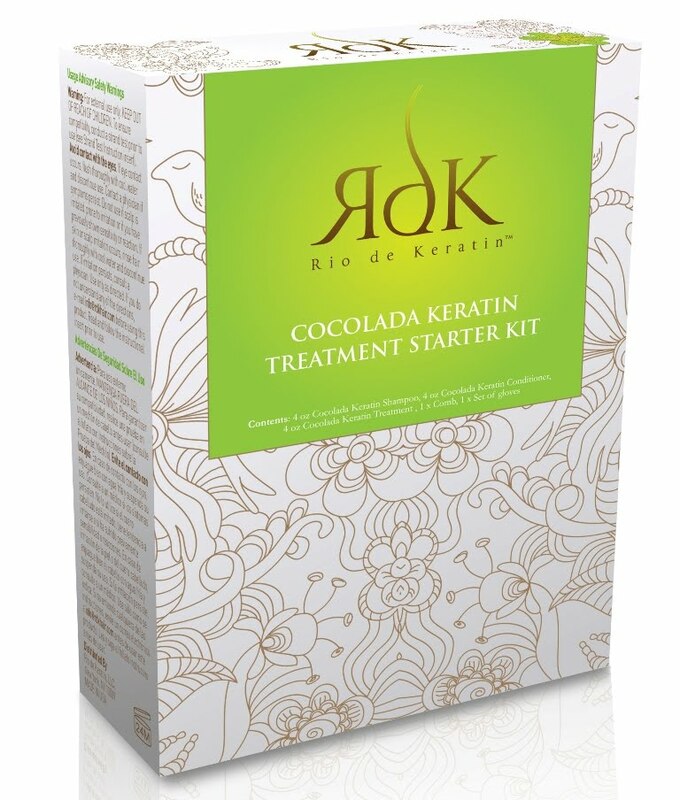 Keratin treatments are the most versatile, commitment-free, damage-free way to relax unruly waves and remove frizz. 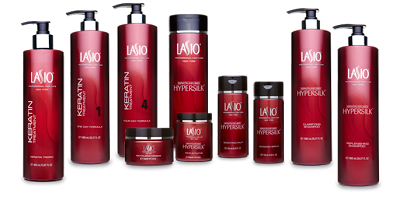 Lasio offers the simplest, most effective products on the market. Their residue-free, lightweight, spray-on treatments are 100% formaldehyde-free and applied in just three simple steps. The Tropic requires no processing time, reduces 100% frizz and relaxes the curl by 30%-60% for up to three months. 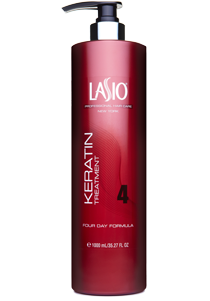 The heat activated treatment sits on the cortex of the hair to moisturize and strengthen. 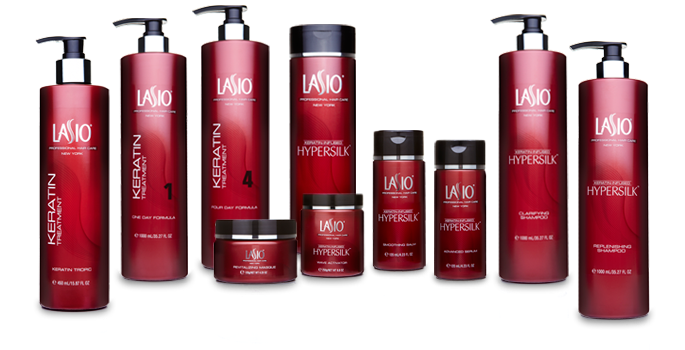 Since 2000, Lasio has stood at the apex of revolutionary hair care. 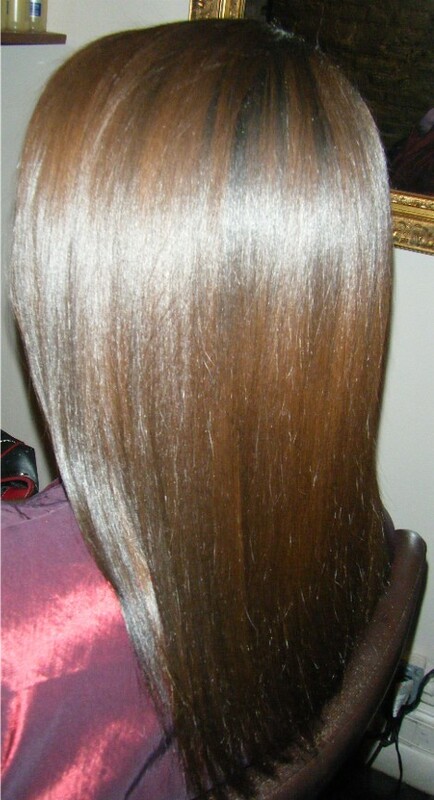 At the core of each of their unique reparative hair products is keratin, a naturally created miracle protein capable of restoring strength and shine to even the most processed heads of hair. 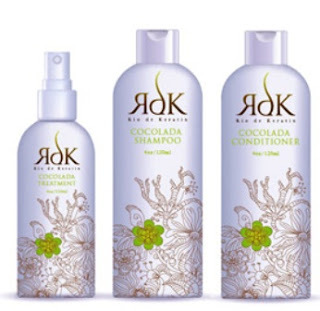 Keratin Tropic – can be washed from the hair immediately after application. Free of aldehyde derivatives, this berry-scented treatment is perfect for anyone who wishes to remove frizz but maintain body and wave. Euxyl 702, a gentle preservative, gives this treatment a lifespan of 2-3 months. Suitable for all hair types. My hair, which looked and felt amazing, light, smooth and very touchably soft, with not a flyaway or my natural curls in sight (as you can see above), was done by stylist, Candy Bencosme. It even made my color more vibrant. 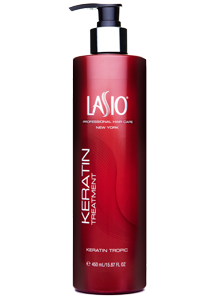 I got a chance to interview Candy on the fabulous Lasio Keratin Tropic Treatment. The Lasio Tropic is not the only new product in the Lasio Haircare Collection, check out a couple of products from the Lasio Keratin line below and see the entire range at Lasio Keratin Products. 1 Day Keratin Treatment – The 1 Day keratin treatment can be washed out after only 24 hours. 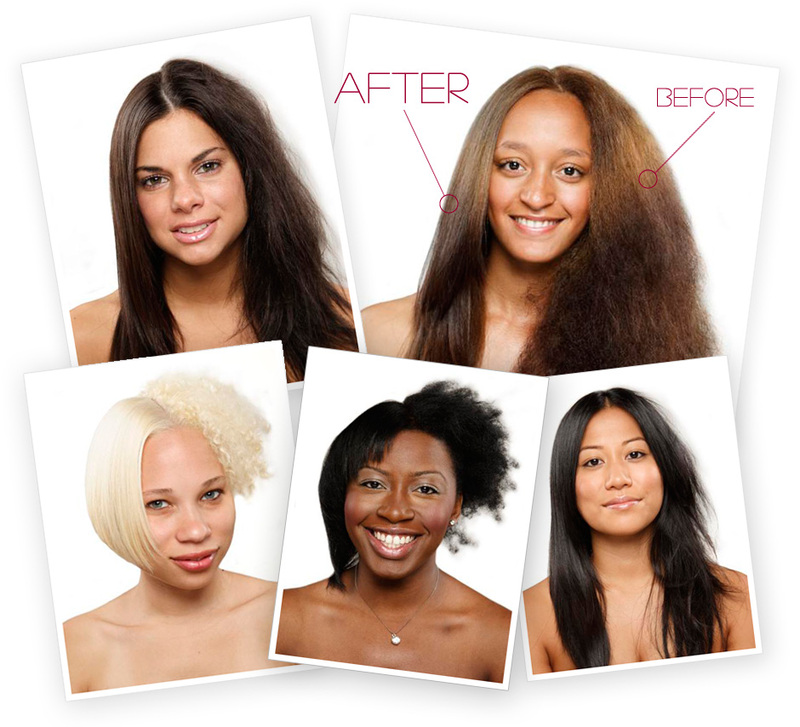 Hair will stay frizz-free for months; it has one of the shortest processing times on the market. Lasts 3-4 months. Suitable for all hair types. 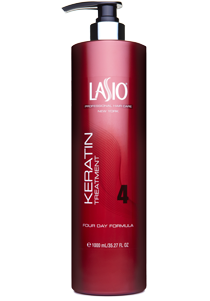 4 Day Keratin Treatment – his blend acts as a deep conditioner and straightening treatment all in one; promoting healthy, voluminous, and shiny hair. Lasts 3-4 months. Suitable for all hair types. Does your hair look more like the right side of the models hair below? 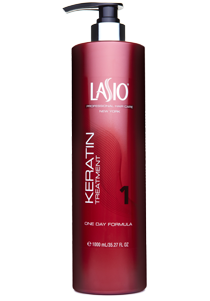 Why not try Lasio Keratin Treatments to get it looking more like the left side – smooth, silky and frizz-free. During the winter my skin tends to be extremely dry and flaky. Nothing seems to work well. 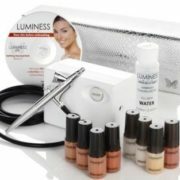 I have found products that mask the flakiness temporarily but none that give me that healthy, summer look in the winter. So, I started trying products to find something that would compliment the smile I maintain throughout the year. 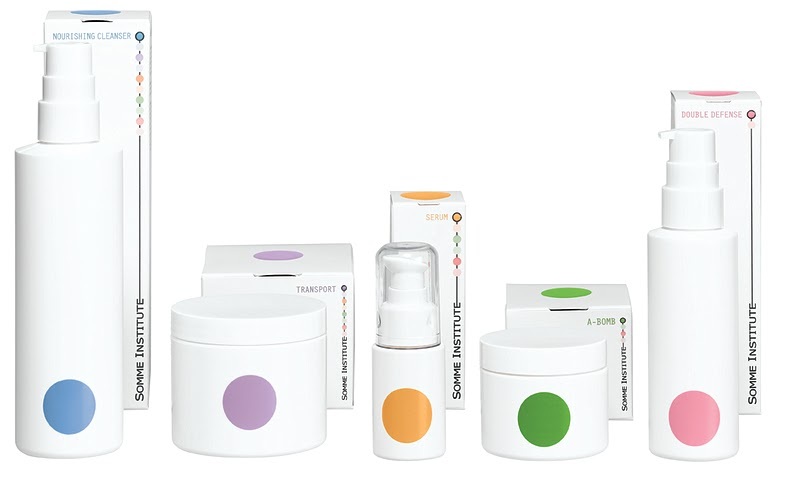 Somme Institute has a 5-step regimen that contains its exclusive patent pending technology breakthrough Molecular Dispersion Technology 5 (MDT5), a formulation of 5 high engineered vitamins (A, B3, B5, C & E) at high concentrations. 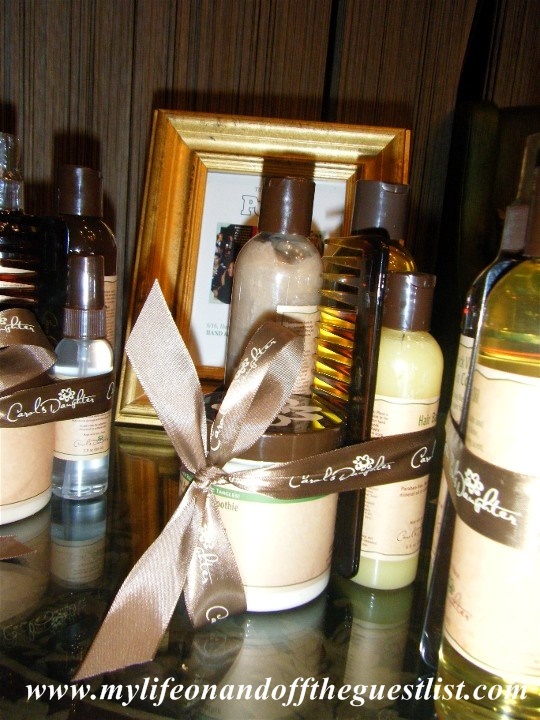 It recommends that you use the products twice daily on all skin types and most skin conditions. Normally products designed for “all skin types” don’t work for me but I decided to give it a try anyway. The 5-step regimen contains a Nourishing Cleanser, Exfoliating Pads, Serum, Cell Renewal Lotion and a Protective Sunblock with SPF 30+. On the first day my skin experienced side effects. The exfoliating pads stung, my face still felt dry and it itched. I started to discount using it but decided to continue because the instructions stated that what I experience are some “positive” side effects and even suggested squeezing the exfoliating pads to remove the excess liquids before use. On day two I made adjustments and experienced less stinging and dryness. By the end of the week, my skin had stopped flaking. It looked healthy and glowed. Like all women, on occasion you skip a day or two of any regimen. 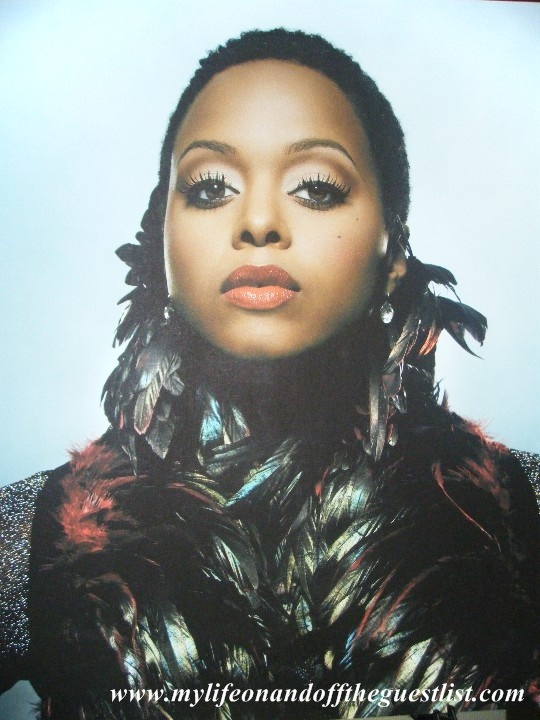 When I did, my face did not automatically return to its normal, dry look. There were dry patches and flaking but not like before. When I returned to using the products, my skin quickly returned to its new, healthy look. 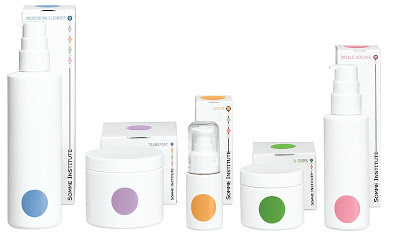 I am now a huge fan of Somme Institute’s 5-step regimen. The Serum and Cell Renewal Lotion are my favorites. Even if you use these two products with other facial washes (which is not recommended) they still provide a healthy glow. I really like the regimen. 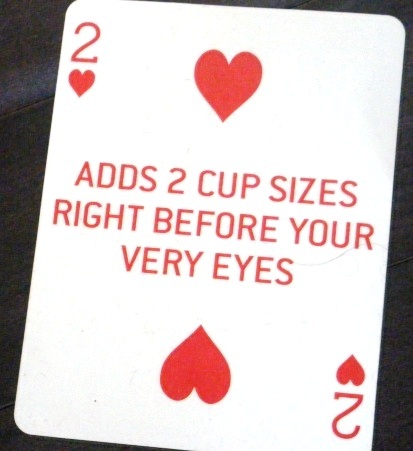 If you decide to try it maybe you will too. 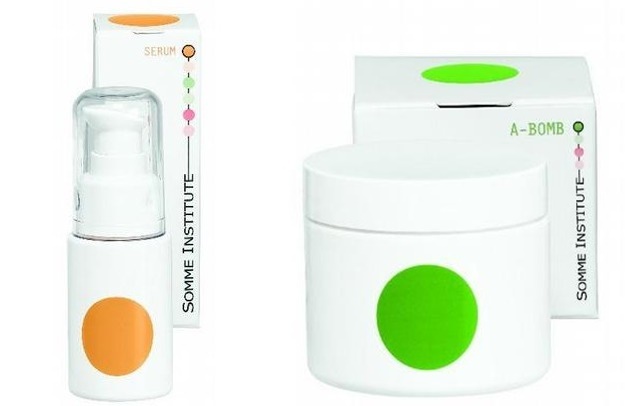 To learn more about these products visit http://www.sommeinstitute.com/. 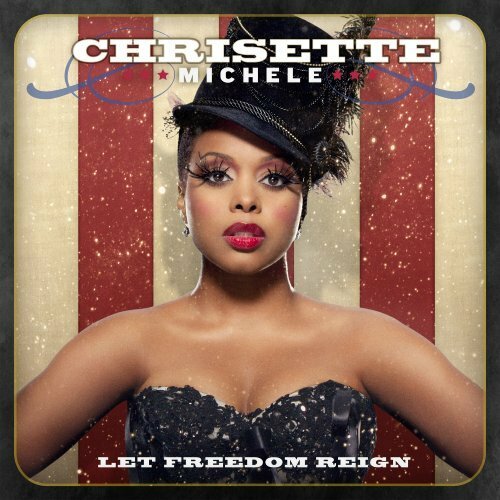 Island Def Jam artist, Chrisette Michele, celebrated her anticipated third album release, Let Freedom Reign, which became available in stores today, by sharing it with some of her fans. 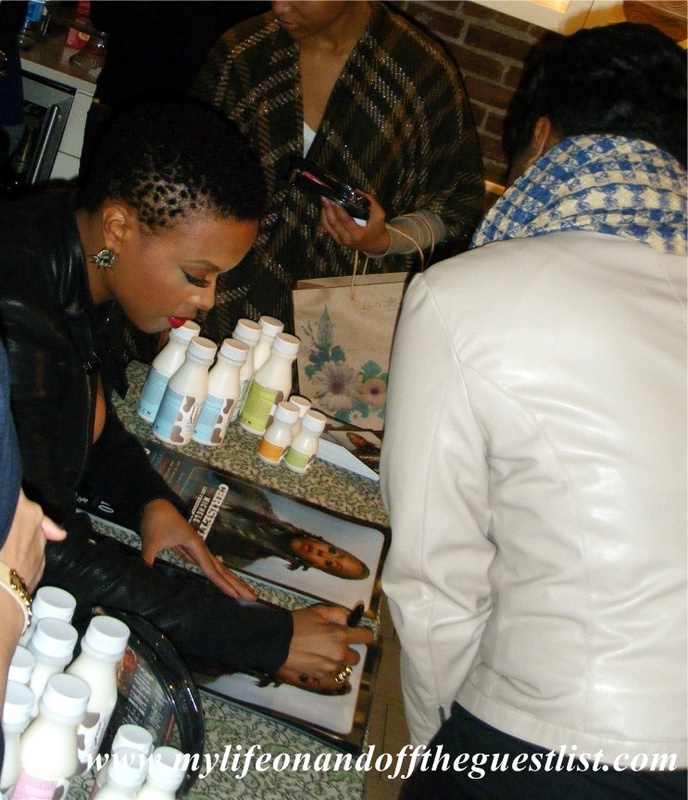 The singer stopped by the Carol’s Daughter Harlem location to sign autographs, meet fans and give her own special Beauty tips. 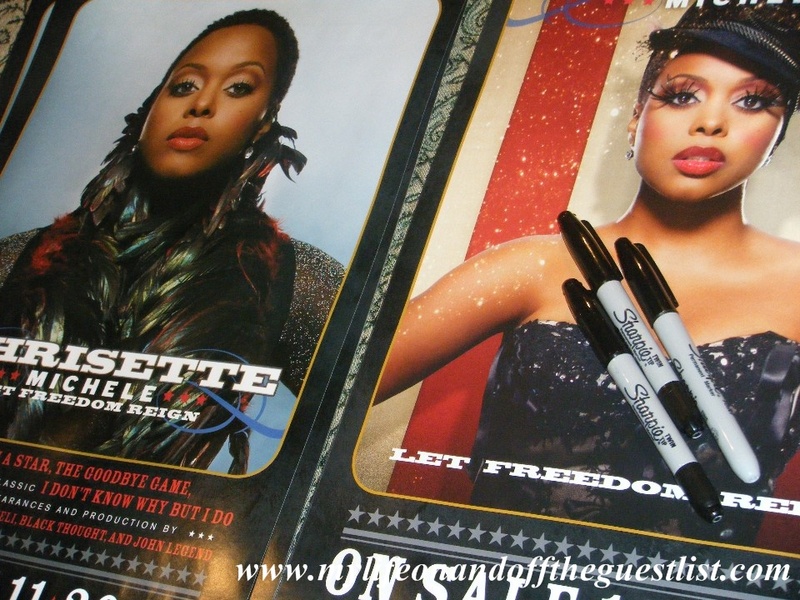 The first 50 guests received special items personalized by Chrisette Michele and all guests were treated to Chrisette’s statement red lip by a celebrity makeup artist. I have been blessed (or cursed – it depends on the weather) with very thick and curly hair. Don’t get me wrong, I love my hair, I get compliments on it all the time but every single time I get my hair done, it either rains or the humidity begins to break records. Now when the whole Keratin hair Treatment phenomenon stated, I, and many women like me, were ecstatic. Finally a saving grace! 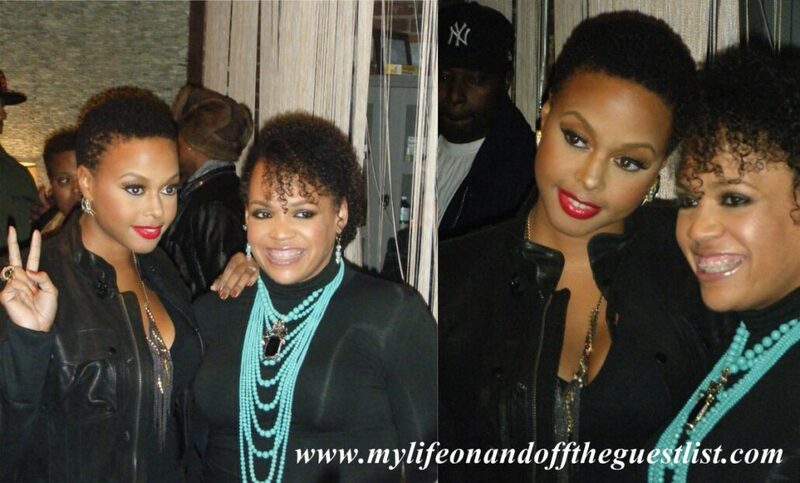 Of course that saving grace in no way saves our bank accounts with salon visits costs up to $400 per treatment. And then came RDK (Rio de Keratin) Cocolada Keratin Treatment, an affordable, at-home/do it yourself Keratin Hair Treatment. I got a chance to find out more on the RDK Cocolada Keratin Treatment at the Product-N-Press event, see below for more details on this great product. 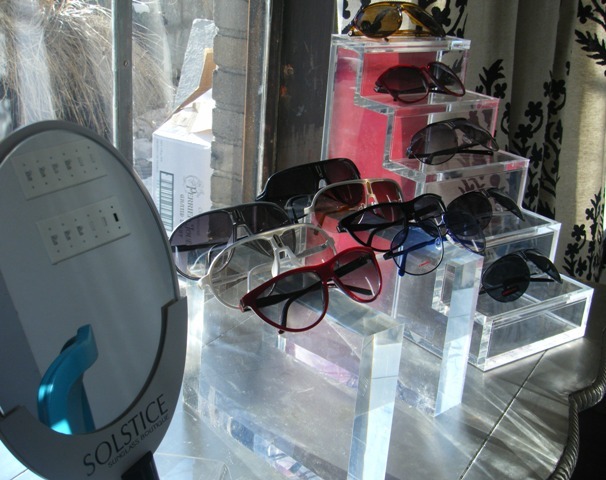 It was back to the HauteLook Lounge to get to know another set of companies featuring their brands. As with the first day with Luminess Air, we continue the trend of makeup and skincare with Becca Cosmetics, Sjal Skincare and Freeze 24/7. 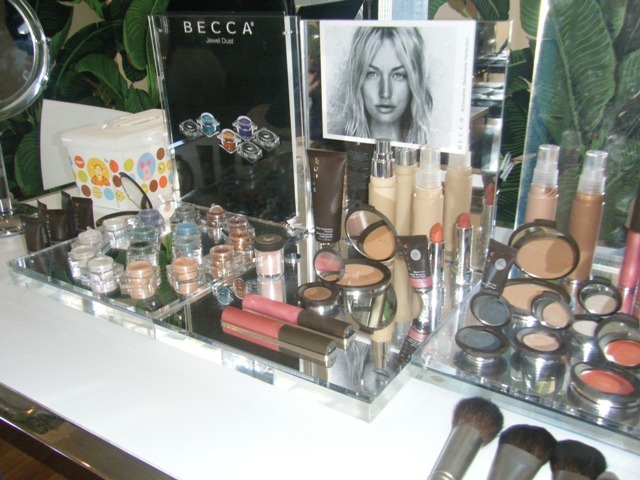 Let’s begin with Becca Cosmetics, named after it’s Founder, Rebecca Morrice Williams, who was searching for products that not only concealed blemishes, but that also looked natural. Hopefully, I will get a chance to try the Freeze24/7 products (not that I have wrinkles, I’m thinking preventative) and publish my results. 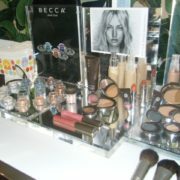 What do you think about the makeup and skincare products we discovered on day two of The HauteLook Lounge? Celebrity Stylist Extraordinaire, Red Carpet Aficionado and now host of his own show, The Robert Verdi Show Starring Robert Verdi hosted his third The Future of Fashion Retreat for the fashion elite to relax and unwind in between the mad dashes to shows. 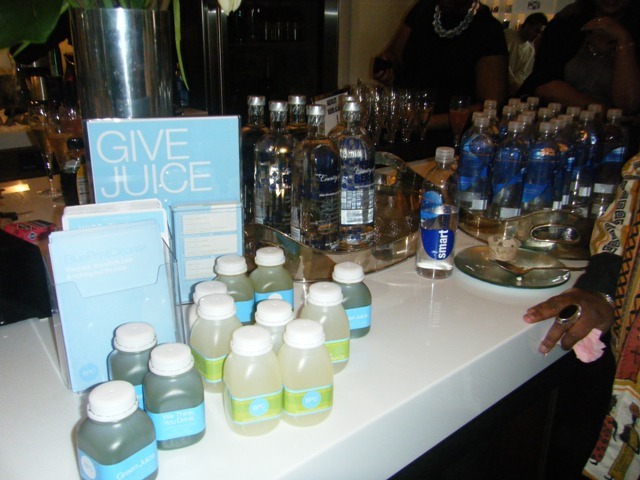 We, lucky few, were treated to “Blowouts from PHYTO’s professional hair stylist, Manicures from Ginger+Liz, Make-up touch ups from Jouer Cosmetics (all were too busy so I never got a chance to enjoy), New ABSOLUT Berri Acai cocktails, Healthy lunches & recovery kits from Blue Print Cleanse, SmartWater & the new VitaminWater Zero, Aluminum bottles from Coca-Cola, Rock & Republic Jeans (LOVE, LOVE, LOVE), ShatoBu Shapewear Bar (heaven), Vans custom shoe station (I never got a chance to try it out), Shades from Carrera (I never got to check these out either) and one-on-one fittings to find your perfect bra size from Maidenform” and a few more treats. Before I go into detail on my gifting experience, let’s find out a bit more on this amazing retreat (and a few other tidbits) from the man who created it – Robert Verdi. Although I didn’t get to experience every aspect, Robert Verdi does go into great detail the brands featured in his retreat. 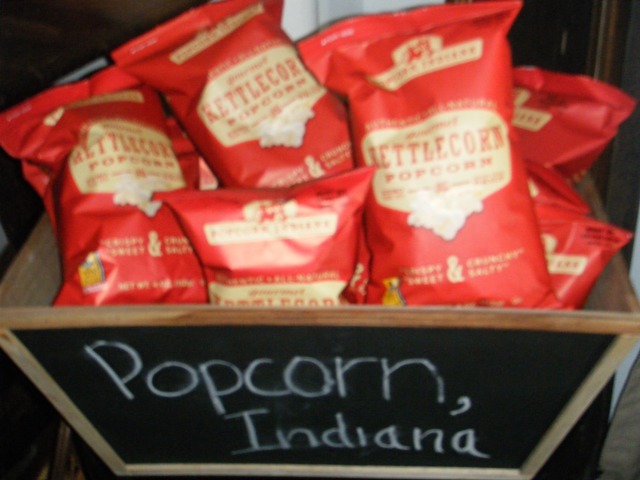 Now, my first stop was to Popcorn, Indiana. 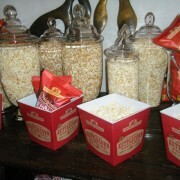 I must say that Kettle Corn is my favorite and as you can see below, there was plenty of it to enjoy. I then ventured to the private boudoir to get fitted for my perfect bra size by Maidenform thanks to Nicole. I found out some very interesting things including the fact that I have to get rid of most of the bras I own as they are the wrong size. 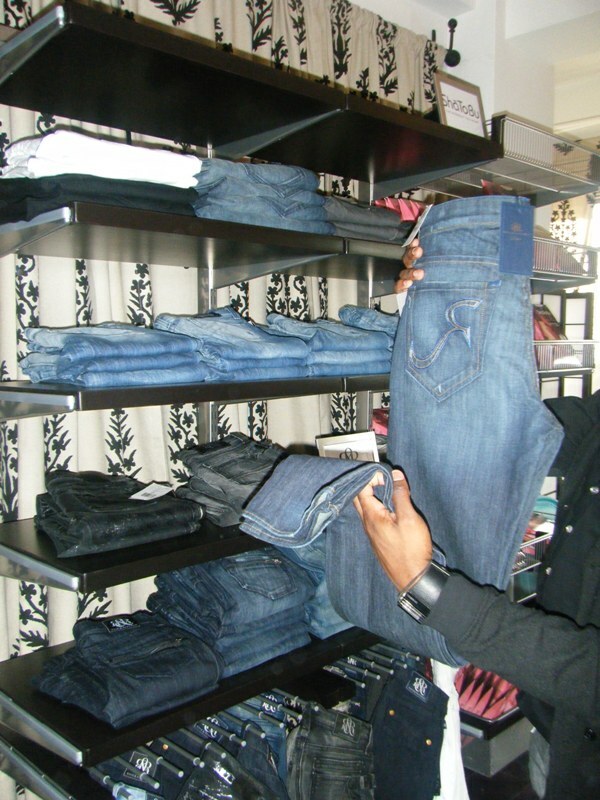 Then it was off to the Rock & Republic Denim bar to find a new pair of favorite jeans. 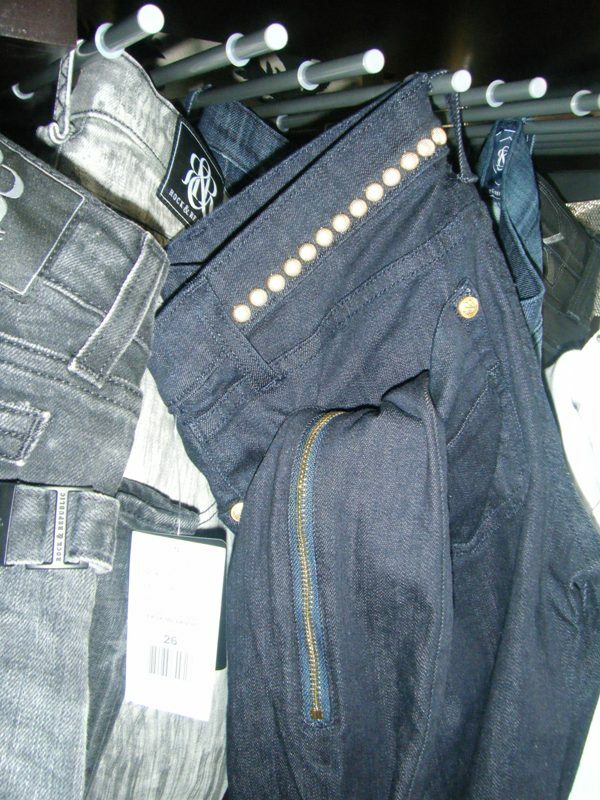 Rock & Republic is a luxurious denim brand who makes “must have” jeans and has recently branched out into the Cosmetics market to join their handbag and accessories lines. Then I was introduced to what could possibly be my new best friend – The ShāToBu™ Shaper, the workout you wear. 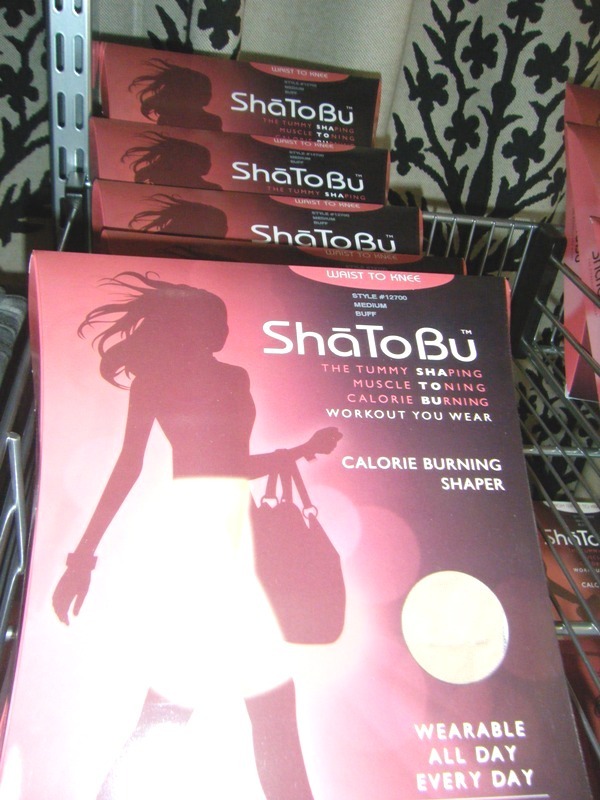 ShāToBu™ burns up to 12% more daily calorie- that is my type of workout. “Designed to be worn all day, every day, ShāToBu™ offers enough resistance in the bands to provide a significant toning and burning effect”. I welcome the challenge to these thighs of mine. And although I didn’t get to personally try out the Carrera Sunglasses which has been around since 1956 and has made quite a comeback thanks in part to Lady Gaga and other celebs, in my interview with Robert Verdi, he does talk about them and I do have a photo (thanks to a friend). 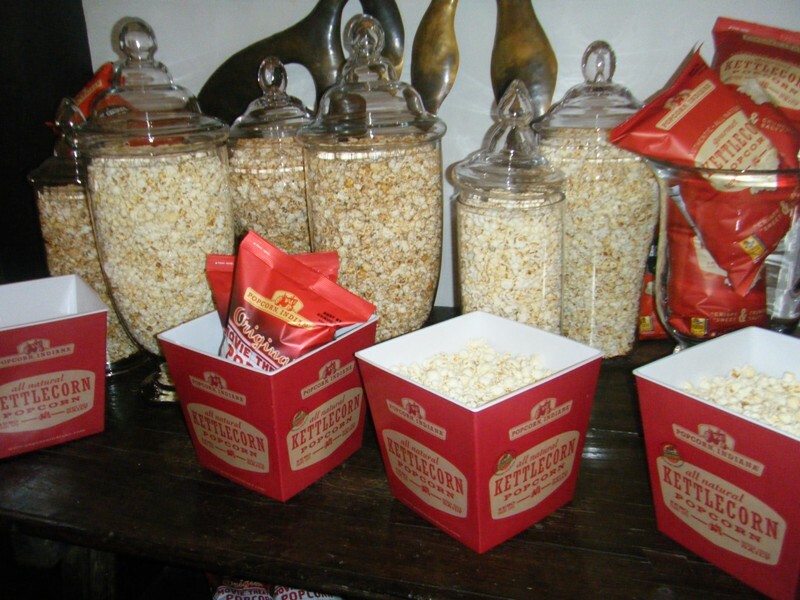 What do you think of the items we saw at the Robert Verdi’s The Future of Fashion Retreat? Any favorites you’ll be keeping an eye out for? You may remember me gushing about a lounge for bloggers/editors which I lovingly referred to as an Oasis during the hectic running around from show to show that we partake in during fashion week. Yes the HauteLook Lounge is back – click HERE for a quick reminder. 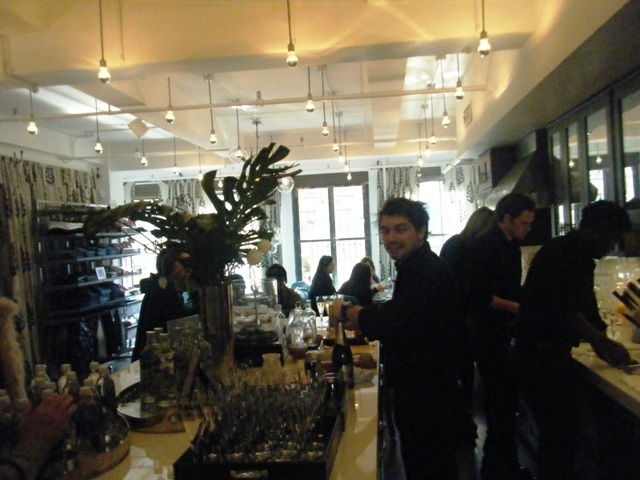 And because of my lovely experience last season, I and my tired feet ran over to the Bryant Park Hotel. Upon entrance, I immediately noticed the decor – it was as if we were in the jungle of some tropical island. 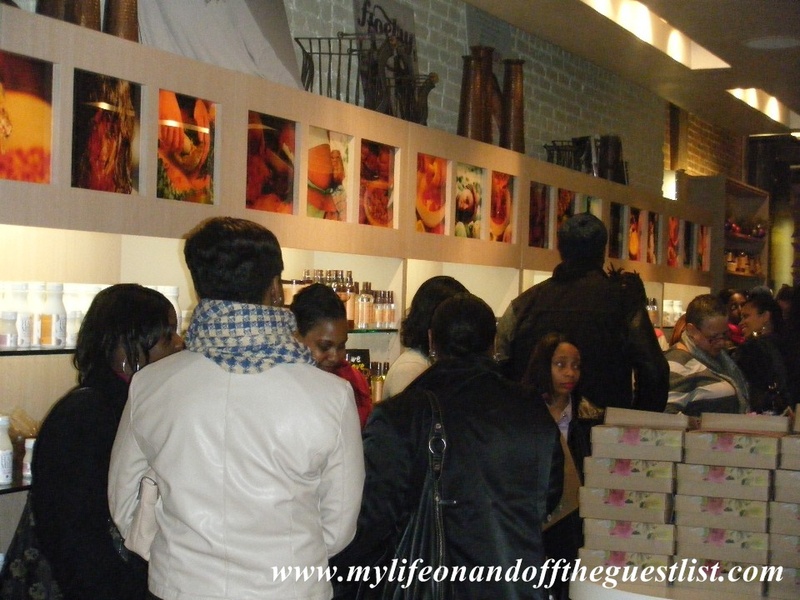 I later found out the custom decor was designed by interior designer and Haus Interior owner, Nina Freudenberger. And because I know some of you need to see this for yourself, I have video of one of the editors getting her makeup airbrushed by Kristen Arnett, a New York, and Milan-based makeup artist has worked backstage at Fashion Week for years and will be heading up the makeup team for Althea Harper. I was very excited to get to know more about these amazing brands and of course to revisit The HauteLook Lounge. What are your thoughts on this wonderful event?